10 Must-See Documentaries | Live. Learn. Love. Eat. Today I wanted to share with you some documentaries that I love. I always like to be informed and it’s great to watch a variety and get a variety of opinions. Adam Curtis’ acclaimed series examines the rise of the all-consuming self against the backdrop of the Freud dynasty. To many in both politics and business, the triumph of the self is the ultimate expression of democracy, where power has finally moved to the people. Certainly the people may feel they are in charge, but are they really? 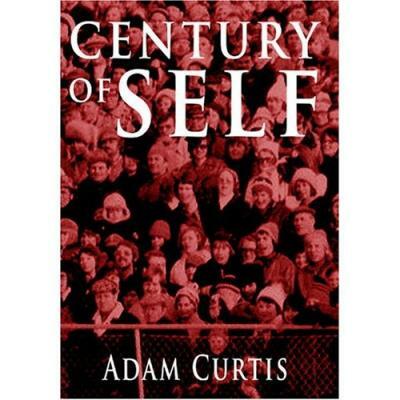 “Century of the Self” tells the untold and sometimes controversial story of the growth of the mass-consumer society in Britain and the United States. How was the all-consuming self created, by whom, and in whose interests? 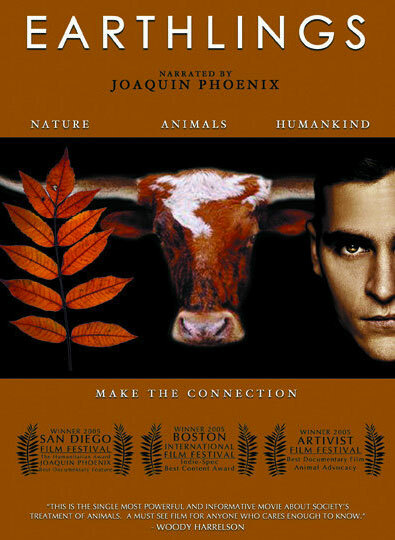 With an in-depth study into pet stores, puppy mills and animals shelters, as well as factory farms, the leather and fur trades, sports and entertainment industries, and finally into animal use in the medical and scientific professions, “Earthlings” uses hidden cameras and never before seen footage to chronicle the day-to-day practices of some of the largest industries in the world, all of which rely entirely on animals for profit. 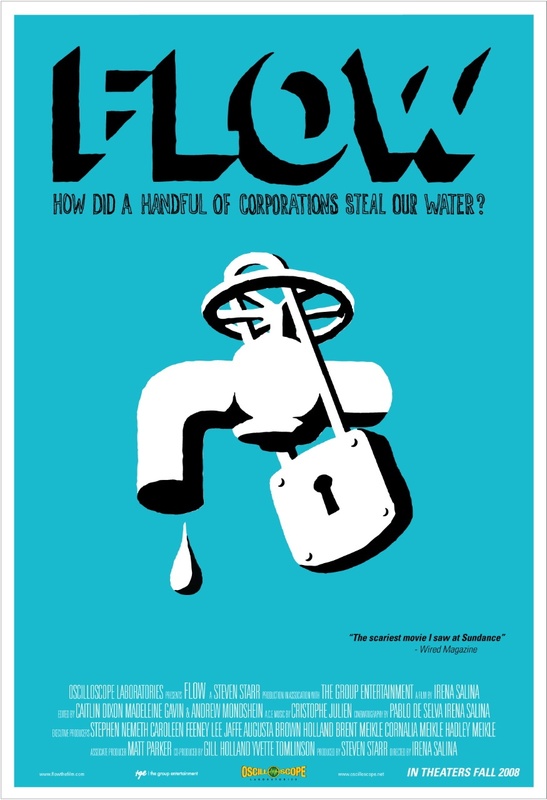 Powerful, informative and thought-provoking! “Super Size Me” is one man’s journey into the world of weight gain, health problems and fast food. It’s an examination of the American way of life and how we are eating ourselves to death. Filmmaker Morgan Spurlock unravels the American obesity epidemic by interviewing experts nationwide and by subjecting himself to a ‘McDonald’s only’ diet for thirty days straight. 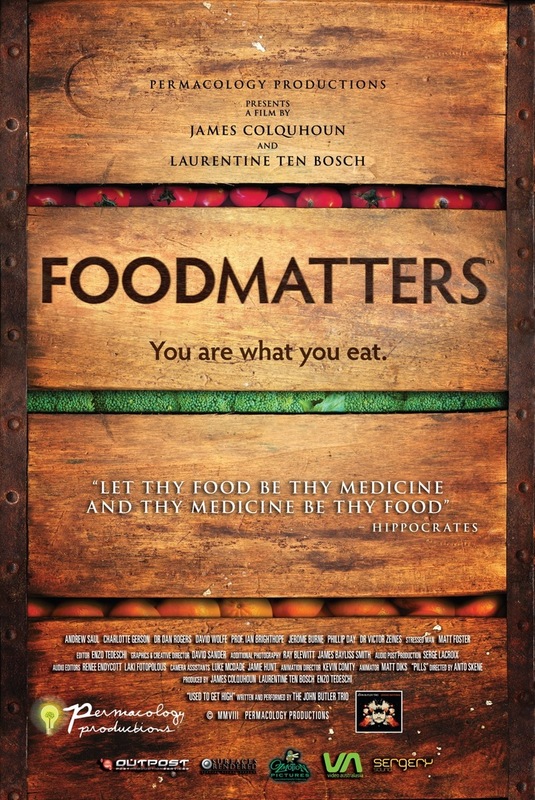 His Sundance award-winning feature is as entertaining as it horrifying as it dives into corporate responsibility, nutritional education, school lunch programs and how we as a nation are eating ourselves to death. 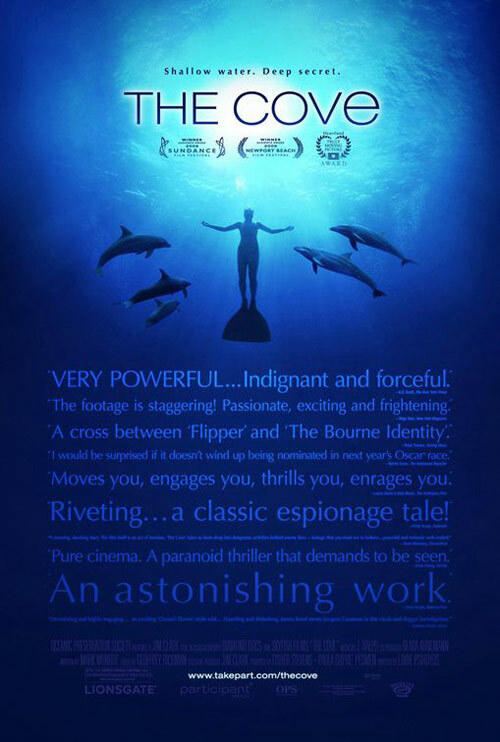 Academy Award® Winner for Best Documentary of 2009, THE COVE follows an elite team of activists, filmmakers and freedivers as they embark on a covert mission to penetrate a remote and hidden cove in Taiji, Japan, shining a light on a dark and deadly secret. Utilizing state-of-the-art techniques, including hidden microphones and cameras in fake rocks, the team uncovers how this small seaside village serves as a horrifying microcosm of massive ecological crimes happening worldwide. The result is a provocative mix of investigative journalism, eco-adventure and arresting imagery, adding up to an unforgettable story that has inspired audiences worldwide to action. The Future of Food offers an in-depth investigation into the disturbing truth behind the unlabeled, patented, genetically engineered foods that have quietly filled U.S. grocery store shelves for the past decade. From the prairies of Saskatchewan, Canada to the fields of Oaxaca, Mexico, this film gives a voice to farmers whose lives and livelihoods have been negatively impacted by this new technology. The health implications, government policies and push towards globalization are all part of the reason why many people are alarmed about the introduction of genetically altered crops into our food supply. 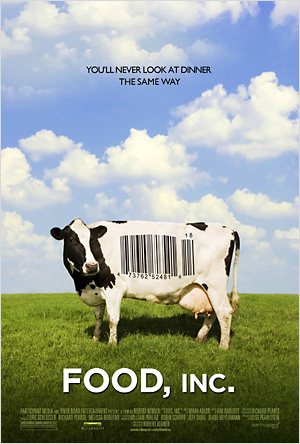 Shot on location in the U.S., Canada and Mexico, The Future of Food examines the complex web of market and political forces that are changing what we eat as huge multinational corporations seek to control the world’s food system. 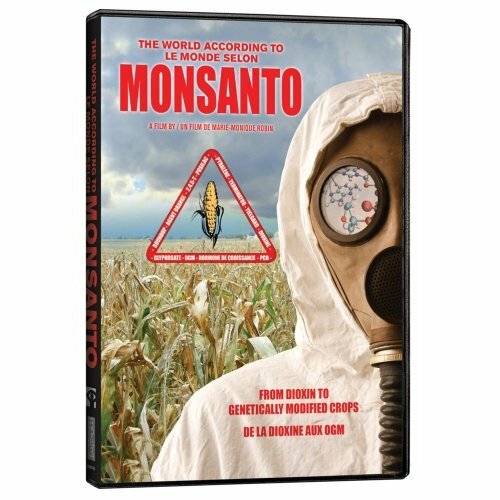 The film also explores alternatives to large-scale industrial agriculture, placing organic and sustainable agriculture as real solutions to the farm crisis today. 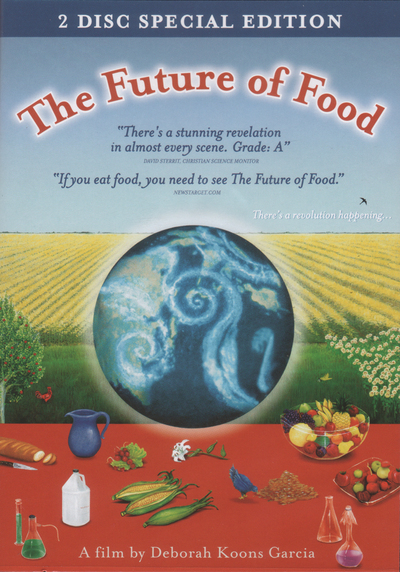 The Future of Food reveals that there is a revolution going on in the farm fields and on the dinner tables of America, a revolution that is transforming the very nature of the food we eat. King Corn is a feature documentary about two friends, one acre of corn, and the subsidized crop that drives our fast-food nation. 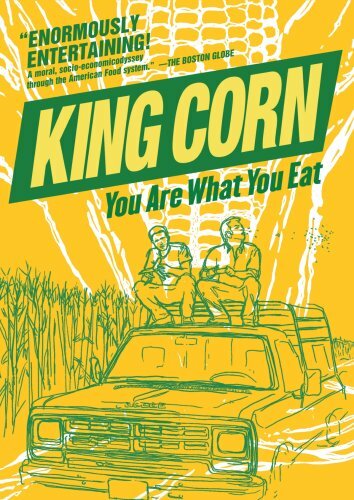 In King Corn, Ian Cheney and Curt Ellis, best friends from college on the east coast, move to the heartland to learn where their food comes from. With the help of friendly neighbors, genetically modified seeds, and powerful herbicides, they plant and grow a bumper crop of America’s most-productive, most-subsidized grain on one acre of Iowa soil. But when they try to follow their pile of corn into the food system, what they find raises troubling questions about how we eat-and how we farm. hugs from mexico. land of corn(maiz) and earthdancers. I agree. It is good to be informed, but I see why some people say that ignorance is bliss. Once you know the truth, it’s hard to turn a blind eye. i choose not to be blind.